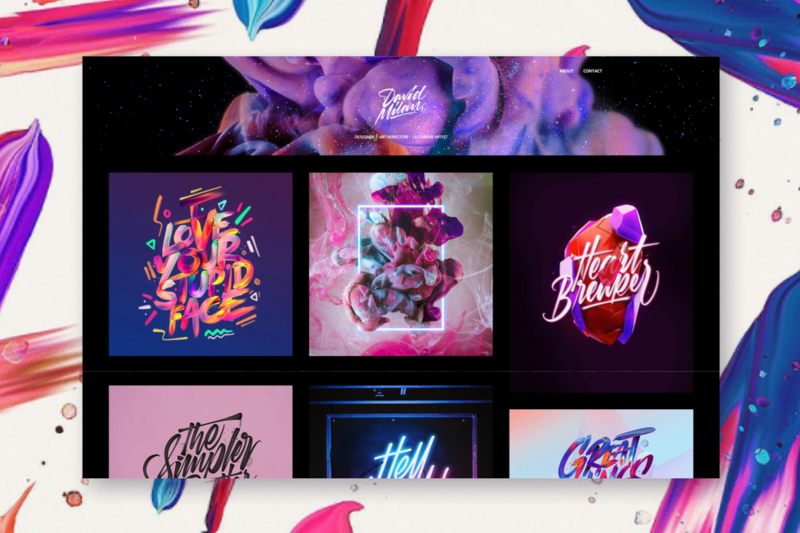 How can you make your online portfolio stand out? As well as understanding what defines you as a designer, getting inspiration from top design portfolios is a great way to unleash your creativity. Here are our top picks. “Good design is innovative”, stated the highly influential industrial designer Dieter Rams in his list of ten principles. Yet, it seems that breaking new ground with never-before-seen website designs is becoming increasingly challenging these days, with almost every second person having a site of their own. That’s why the task of creating a unique online portfolio isn’t always easy, especially when you’re a designer and every pixel is critical. But it’s not all that bad, as we do, after all, each have our own personalities that distinguish us from others. So before deciding how to tell your story online, think about who you are as a designer – what defines you, what you believe in and how you want to portray it to the outer world. Browsing David Milan’s online portfolio is almost like taking a trip to outer space. Its design is so in sync with his works, that the borders between the two are practically eliminated. The result is a powerful and total viewing experience. Every detail, down to the logo, has the same look and feel. The black background sets a specific atmosphere and also makes the works themselves really pop out, thanks to the contrast created. Ready for take off? What do you get when you mix the ‘80s, Japanese pop culture and outlandish design elements from the dawn of the Internet? Answer: Dennis Krawec’s portfolio. We just can’t keep our eyes away from those candy color combinations. 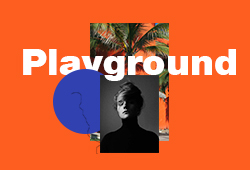 The overlapping images, text and GIFs come together to form a messy, yet highly aesthetic layout. With unique visuals like these, you can’t help but get immersed in this wonderfully eclectic world. Despite having such a diverse portfolio, photographer Thai Pham chose to display one single image above the fold on his homepage: a grainy, dreamy visual that makes you want to delve inside for more. Scroll down to discover an impressive collection of highly stylized editorial, fashion and wedding photographs. The images are displayed in an uneven grid layout, adding some spice to the otherwise clean minimalistic aesthetics. Did someone say “crisp”? With the super sharp retina ready visuals on Steve Wolf’s portfolio, it almost feels like you can reach out and grab the products photographed. The organized grid layout and screen-to-screen visuals put the emphasis on the works themselves, creating a true branding feast. A subtle hover effect on each image reveals the name of the project, while keeping text to a minimum. The best thing about it? 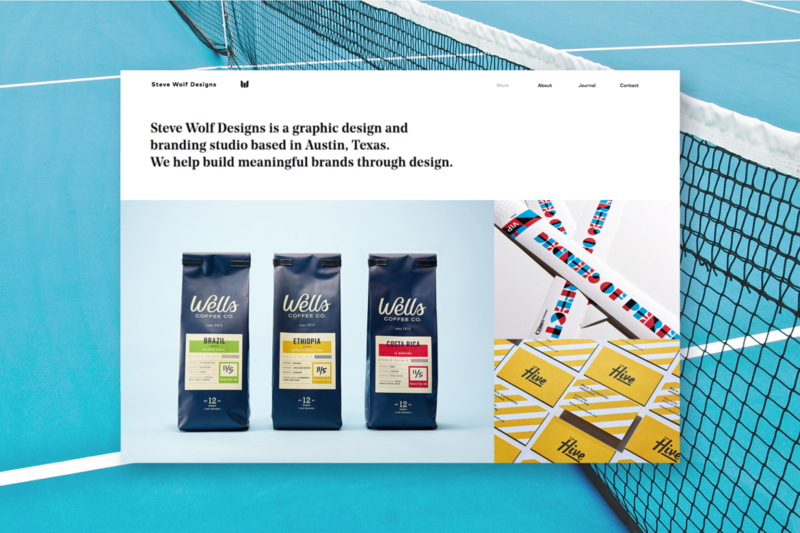 You can create your own website in a similar style using Steve Wolf’s signature Wix template, going behind-the-scenes and making it your own. Ever wanted to take a bite out of your screen? The slideshow images on the top fold of Lena Steinkühler’s portfolio certainly get our mouths watering. They’re full-screen and intriguing, with colorful and somewhat surreal 3D visuals. 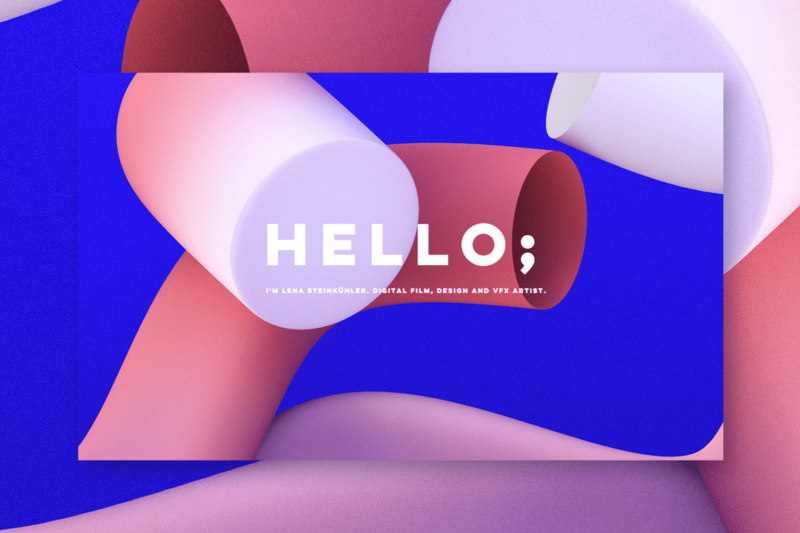 The big bold text is inviting and also happens to be a prominent trend in web design. More visual delights await in a clean grid further down. Bon appétit. Sometimes, a classic layout is exactly what a website needs – especially when you have such delicate and ornate works to offer to the online world. Reut Chen created an interesting contrast between textured, organic photographs and simple, geometric text. Dive deeper into each project for more fascinating combinations of handmade and digitally crafted designs. Life is all about balance, right? 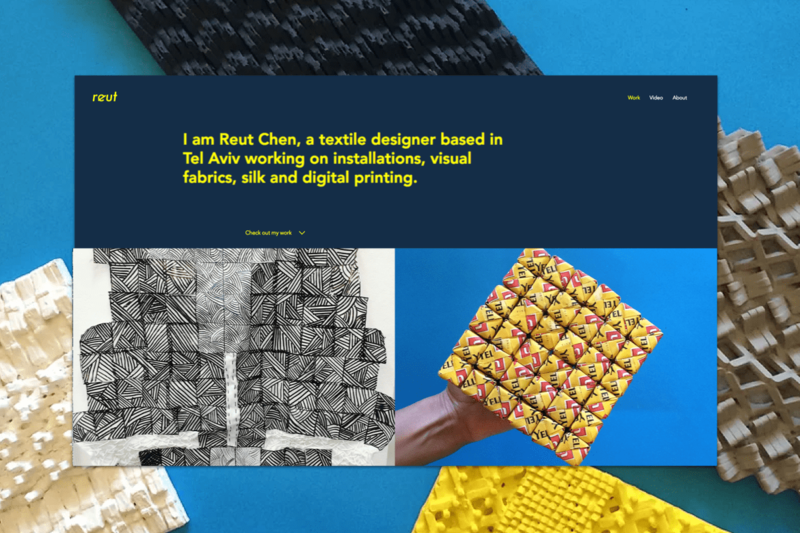 It seems that Two One Studio have got it right: their website is elegant and aesthetic, while maintaining the sense that a human hand created it. The rough shots of the NYC subway create a real “concrete jungle” feel. The visual elements are layered one on top of the other, just like a wall that has been graffitied over and over again. The result? An unusual mix that further echoes the Big Apple’s diversity. There are times when less really is more. Max Montgomery’s photography portfolio is exactly what it needs to be: a no nonsense showcase of his works. The use of white space gives each image the air it deserves. Although the big sans-serif text on the photos isn’t exactly subtle, it creates a unified look and doesn’t steal the show. With powerful photos like these, and an impressive array of clients (including Apple Music, Yves Saint Laurent and more), this portfolio really doesn’t need anything else.